EWEA has over 20 years of experience in organizing events in the wind energy sector. The EWEA 2012 Annual Event is Europe’s premier wind energy event. This unique platform provides an excellent opportunity to reach over 10,000 international wind industry professionals and ensure high brand visibility tailored to your requirements. 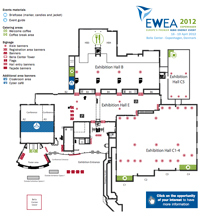 Why sponsor an EWEA event? Download this document to find out why (1MB). Becoming a sponsor of this event will ensure that your information is placed at the forefront for all participants to see. Sponsors have the ability to communicate their message and increase brand recognition by supporting this event and showing their interest in the path that the industry will be taking in the future. Wind energy has been growing very strongly over the last ten years to the point where it is a mainstream power generating technology. Many of the leaders that choose to sponsor this event find that they are well positioned to demonstrate their capacities in supplying services, products, and tools to participants in this fast growing industry. Sponsors have the ability to network with the leading companies in the industry. With 12,000m2 of exhibition space, over 450 exhibitors, more than 10,000 participants expected, a host of learning and networking events, sponsors will receive prominent recognition for their support of the event. This acknowledgement of their leadership role will be remembered by the participants of the conference long after the event is over. 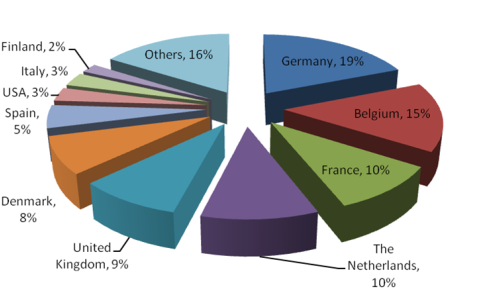 The EWEA 2011 Annual event attracted a record breaking 9,000+ participants coming from a total of 84 different countries. 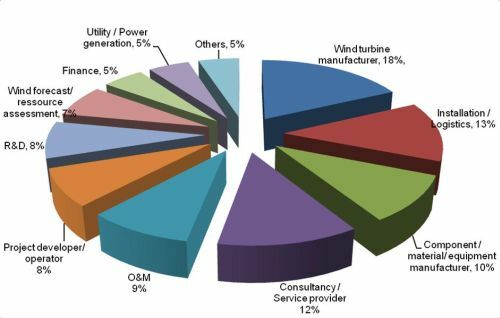 EWEA 2012 is expected to be attended by over 10,000 wind energy industry professionals from across the globe. One third of participants in senior managerial positions (owner, president, CEO, COO, CTO, CFO, MD) with final purchasing decision-making authority.